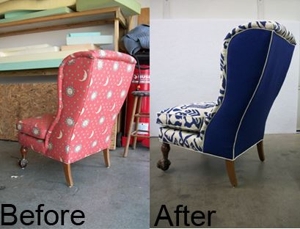 “Just wanted to say thanks for all your help in giving new (and very impressive) life to my old wingback chair. Your insights and guidance were invaluable. I very much appreciated all the time you spent with me.” – Jim N.